I have been writing for publication since 1989. I've written books, short stories, play and movie scripts, devotionals, and Sunday school curriculum. I'm the author of "Proofreading Secrets of Best-Selling Authors" (an updated and improved version of "Polishing the PUGS," which is now out of print). I have also written books on "Christian Drama Publishing" and "Typing without Pain." I do editing and mentoring for aspiring, beginning, intermediate, and established authors. I speak at writers' conferences across the country. 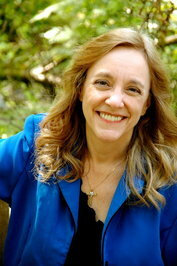 I am the founder and director/coordinator of The Christian PEN: Proofreaders and Editors Network (www.TheChristianPEN.com)and the Christian Editor Connection (www.ChristianEditor.com). We’d love your help. Let us know what’s wrong with this preview of Jerusalem's Queen by Angela Elwell Hunt.
" I wouldn't put up with snakes for just any old hike. But the sequoias are so worth it! " We’d love your help. Let us know what’s wrong with this preview of Crown of Slaves by David Weber. The next time you find yourself wondering how to properly punctuate a sentence, don’t just ask a bunch of people who have the same question you do. Consult the industry-standard resource. Then you’ll know you have the definitive answer. And you’ll actually get it more quickly! ...more "
A group to discuss books related to Digital Marketing, Social Media, Web Design and new technologies.